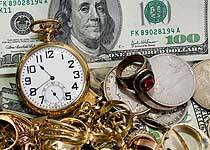 With gold at a 27 year high, it’s a smart time to sell gold scrap jewelry in Houston. Top prices paid for all 1 oz Gold Coins. With gold prices at record highs, right now is the best time to sell your gold. We buy all gold items beit chains, bracelets, necklaces, or rings. Everyone has that one drawer in their house that has old outdated jewelry that you will never wear again. Turn that scrap into CASH today. You’ll be surprised how much it is really worth. Sell your Gold Jewelry Katy to Houston Gold Buyers, The best Gold & Silver buyer in town. What is scrap gold and silver, and what do we buy?. Scrap gold and silver is usually broken or mismatched pieces of jewelry that is no longer wanted. This could be rings, necklaces or even watches and bracelets. When you send or bring in your unwanted jewelry, we will check it for gold content, weigh it and then offer you a price. Free Verbal appraisals of your Gold and Silver items. We will tell you the weight of your gold and let you know what it is worth. Our scales are right infront of you and we don’t confuse you with pennyweight. Honest appraisals by expierienced individuals. If you have gold you are interested in selling and would like an idea on the price contact us below. We make every attempt to respond to all questions immediately. Please allow up to 24 hours in come cases for a response.